Literacy Centers - Welcome to Kindergarten! The literacy centers in Room 101 consist of: listen to reading, writing, computer, word work, read to self, read to someone, act it out, art, and teacher time. Listen to Reading: Students listen to a story on tape/cd then complete a writing/drawing activity. Writing: Sticker Stories, Stamp Stories, Letters to Friends/Family, Theme Writing, Free Write/Draw. Computer: ABCMouse app on the iPad. Word Work: Making sight words with play dough, wikki stix, letter beads, stamps, tiles, magnets. Read Around the Room, Rhyming, Sequencing, Picture/Word match, Making Words. Read to Self: Students read to self from their Read to Self bags which contain books they have picked out from our classroom library. Read to Someone: In groups of two or three, students read to/with each other books that are based on our themes, content, and/or sight words. Students also have the option of reading to a stuffed animal. Act It Out: Students dress up and use puppets to act out a story we have read multiple times together. Art: Students work on an art project based on our theme. Teacher Time: Phonemic Awareness, Predictable Sentences, Letters/Sounds, Sight Words, Phonics, Weekly Stories, Comprehension. 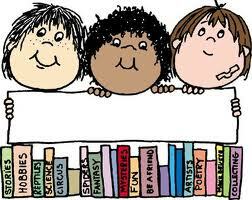 Let me know if you would like to volunteer for our literacy centers (every morning). Volunteers can help with a specific center, read with students, or play academic games with the students in the hallway. It is a lot of fun and a great way to help the students with the fundamentals. We love volunteers in Room 101!